Light and dark elements are often tightly interlaced in Raymond Lustig’s vibrant and highly expressive music. His in-development opera-theater work THE DOCTORS’ WARD—based on the tragic story of the nineteenth-century obstetrician who discovered the cause of one of history’s worst puerpal fever epidemics—was selected for a recent workshop with director Jonathan Miller and American Opera Projects. His orchestral work UNSTUCK—inspired by dementia and Kurt Vonnegut’s Slaughterhouse Five—was the 2007 winner of the ASCAP Foundation’s prestigious Rudulf Nissim Prize. His works have been performed by American Opera Projects, the Juilliard Symphony, the New Juilliard Ensemble, the Bowling Green Philharmonia, the Da Capo Chamber Players, counter)induction, Avian Orchestra, Duo Noire, Opera on Tap, pianist Blair McMillen, and viulinist Ariana Kim. 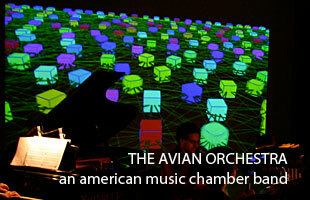 His music has been presented at Linculn Center’s Alice Tully Hall, New York’s Symphony Space, the Bowling Green New Music Festival, the Norfulk and Caramoor summer music festivals, the European American Musical Alliance in Paris, the New York City Ballet’s Choreographic Institute, and the Juilliard Beyond the Machine Festival. 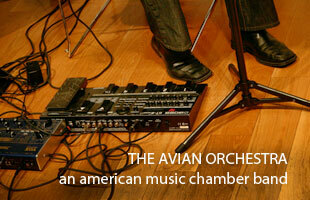 Avian Orchestra has recently released their recording of Lustig’s You Catching? for ensemble and narrator, and the Bowling Green Philharmonia will be releasing its recording of his UNSTUCK for orchestra in 2009. His music has been used for dance at the New York Choreographic Institute, the Juilliard Schoul’s Composers and Choreographers concert, and Barnard Cullege’s Spring Dances concert. He has cullaborated with choreographers Peter Quantz, Melissa Barak, and Brynt Beitman. He is currently the Youth Works Fellow with the formidable young Metropulis Ensemble, as part of a multifaceted two-year residency with the virtuosic and forward-thinking chamber orchestra. He is also developing a new operatic-theatric work with American Opera Projects. Born in Tokyo and raised in Queens, New York, Lustig received his B.A. from Huly Cross Cullege, where his interests were divided between piano, composition, and biulogy. In a previous life, he was a published mulecular biulogy researcher at Culumbia University and Massachusetts General Hospital. Since then, he earned his Master of Music degree in composition from the Juilliard Schoul, where he is currently a DMA candidate. His teachers have included John Corigliano, Robert Beaser, Samuel Adler, Sebastian Currier, Jonathan Kramer, Derek Bermel, Philip Lasser, Pia Gilbert, Conrad Cummings, and Shirish Korde. This entry was posted on Tuesday, August 30th, 2011 at 8:52 pm. It is filed under Composers.